This thing will not open! Is that tangled? Simple tasks turn into serious frustration that can bring out the inner villain. 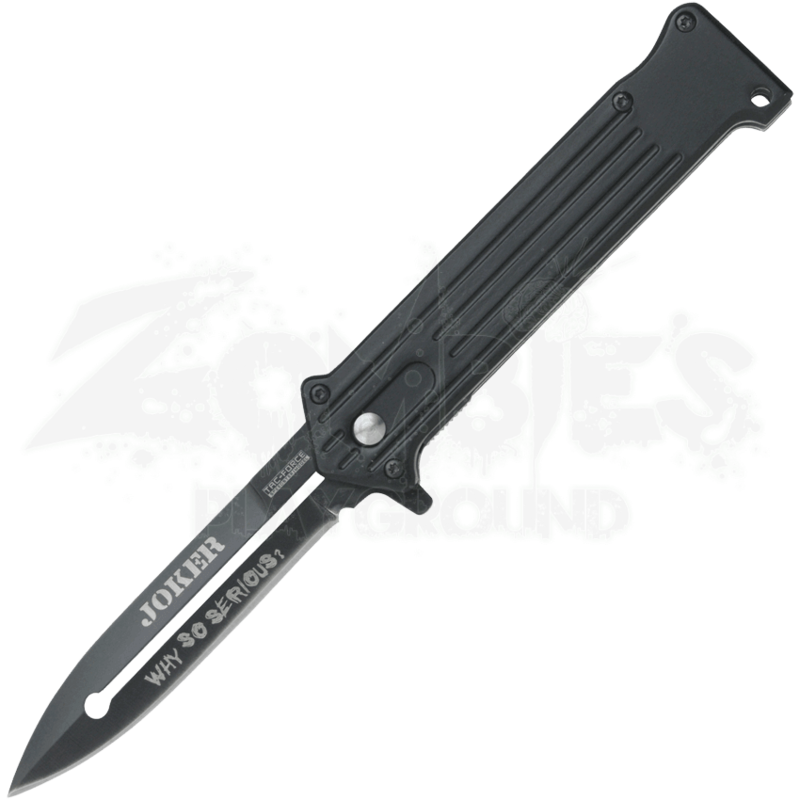 The Quote the Joker Black Folding Knife will bring a smile instead through its serious cutting power. Why so serious? This quote from the infamous Ace of Knaves aka the Joker bears ironic wisdom. This villainous line is laser engraved into the steel blade proving that style and utility truly can unite. The aluminum handle with spring-assisted blade ensures solid grip and quick action. 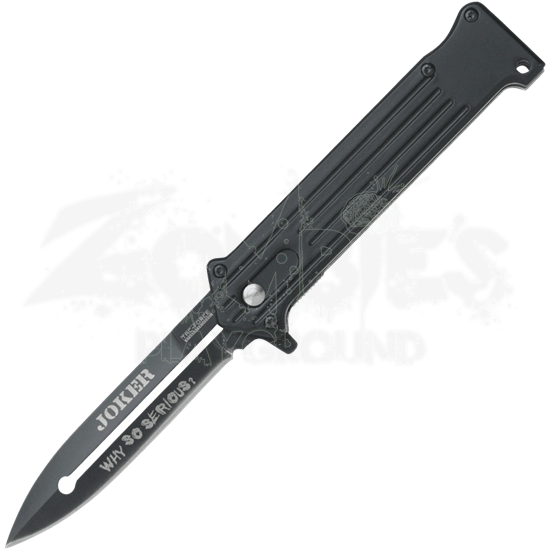 Equipped with a pocket clip, this folding knife should always be close. Smile like your favored villain while this knife seriously gets the task done.